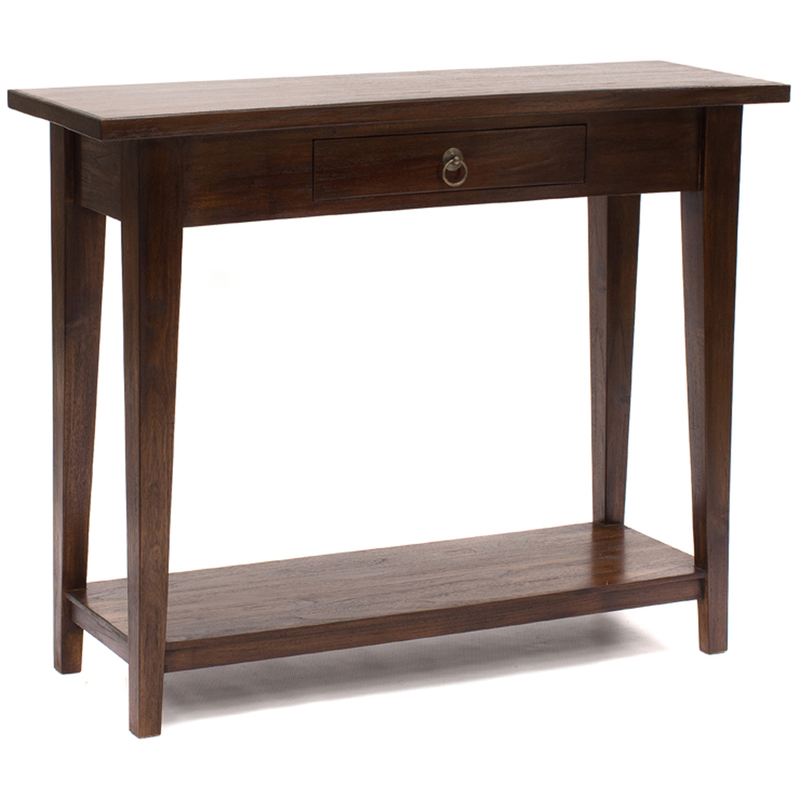 This stylish tapered leg teak hall table is made from solid timber with a smooth finish. 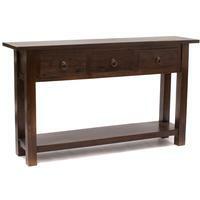 The small drawer and block shelf offer practical functionality to this refined piece. This stylish tapered leg teak hall table is made from solid timber with a smooth finish. The small drawer and block shelf offer practical functionality to this refined piece. 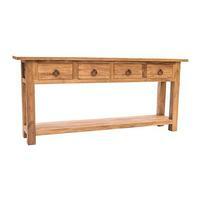 Comes in a variety of sizes from 80cm - 1.3mt (larger sizes will have 2 or 3 drawers).